at the Whitman Police Station in Whitman MA. Training takes place typically at the Whitman police stations modern training room facility. Ross follows the ARRL published license manual, reviewing the exam questions, discussing the answers and answering any questions from the students. 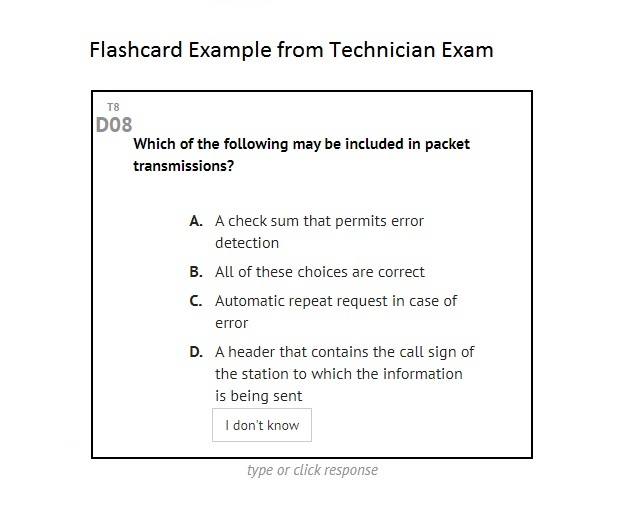 Ross also uses an online flashcard system projected at the front of the class for question review, presented with multiple choice answers as with the actual exam. By the way, there is no cost to attend the class! A Technician level class is starting Thursday March 21st, and meets twice per week on Tuesday and Thursday evenings, 7pm-9pm and will conclude with a license test session on April 23rd, 2019. 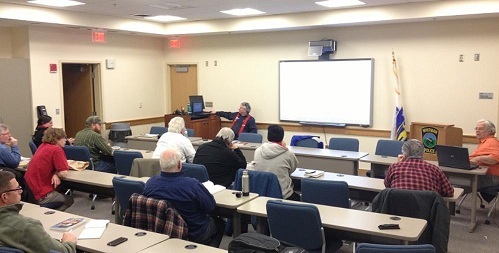 At the conclusion of the Whitman Club training class, a VE testing session will take place usually in the Whitman police station training room. The K1USN club in Braintree MA offers VE testing the 2nd Saturday of the month. Advanced registration is required.